Temple Institute: It is time to transform the mourning over the past into preparation for the future - the rebuilding of the Holy Temple. The Temple Institute has released the sixth video in their Viral Tisha B'Av series which has already amassed over one million views. "The People Are Ready" takes viewers on a one-minute journey from darkness to light reframing Tisha B'Av from a day of national mourning for the First and Second Holy Temples to one of hope and action toward the building of the Third. Considered the most avant-garde of the series, the artistic clip highlights the growing phenomena of youngsters expressing interest and actively involved in preparation for the Third Temple. Once the pursuit of a few select scholars, Temple awareness has grown immensely across Israel and the Jewish World among Religious and Secular Jews seeking to reclaim their ancient birthright. 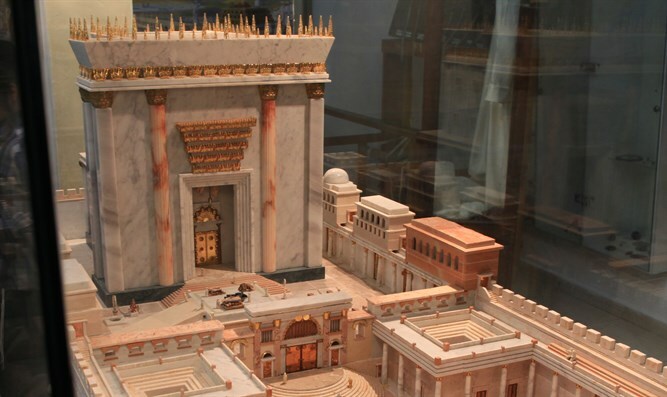 In recent years visitors to the Temple Mount and Temple Institute Exhibition have risen exponentially. "In the last decade the support for building the Third Temple has grown immensely with more and more Jews of all varieties wanting to be actively involved in our work. Likewise the numbers of Jews ascending the Temple Mount has more than doubled in recent years demonstrating the mainstreaming of the Temple movement and a new generation of interest in seeing the Jewish people's 2,000 year-old dream become reality. 'The People Are Ready' speaks directly to this new generation with a message that says the writing is on the wall, together we will prepare for the rebuilding" said Rabbi Chaim Richman, Co-Founder of The Temple Institute.